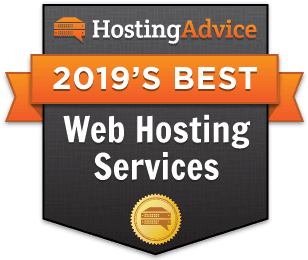 Founded nearly 20 years ago with a philosophy focused on quality, service, and support, InterServer has made a name for itself as one of the industry’s leading hosting providers. Today, the host offers top-tier shared, cloud, virtual, and dedicated server hosting to small- and medium-sized businesses and enterprise-level companies worldwide. InterServer’s US-based datacenters supply the fuel that guarantees 100% power and 99.9% network uptimes. So, if you’re looking for high availability, fast load times, and a scalable hosting platform for your online properties, InterServer may be the provider for you. But, before you sign up for a plan, be sure to take advantage of the deals on InterServer’s web solutions offered in our coupons linked below. Looking for InterServer coupons and promo codes that actually work? You're in the right place. See below for HostingAdvice.com reader-exclusive deals for every web hosting need. Simply click on the discount that interests you most to receive the sale pricing on the InterServer website. Need some help? Learn more about InterServer hosting with our expert hosting guide below. Does InterServer offer a free trial? In a sense, yes. InterServer offers a full refund to dissatisfied customers if accounts are canceled within 30 days of signing up. So, while you have to pay for the service upfront, there is, essentially, a 30-day free trial since there is no monetary risk within that period. If you’ve signed up for an InterServer plan and are not happy with it, canceling your account is simple. Customers can contact InterServer’s accounting department via email at [email protected] and supply the domain name, the last four digits of the Social Security number associated with the account, and the credit card number used for initial billing, and InterServer will cancel services. If it’s within the 30-day period, a full refund will be granted. What types of payment does InterServer accept? InterServer supports payment via credit and debit card, PayPal, check, and money order for all of its services. If paying by check or money order, payment must be mailed in, and, because of the nature of snail mail, instant activation is not available with these payment methods. Wire transfers are offered as an additional payment option for customers employing InterServer’s dedicated servers, colocation, or advanced hosting solutions (not shared or virtual private server hosting). Yes. InterServer accepts PayPal — even if a customer’s PayPal account is unverified. When customers begin service with InterServer, they are given the option to choose their preferred payment method. If a credit card was selected at this phase and a change to PayPal is desired, InterServer makes the switch easy. To swap the credit card payment option to PayPal, simply log into your account at https://my.interserver.net using your email and password. From there, select Update Personal Information at the top right of the page. The dropdown menu will then give you the option to change your payment method to PayPal. Which InterServer hosting plan should I choose? With InterServer, the hosting package you choose depends on your mission and the size of your online business. For budding web entrepreneurs, a good place to start is probably with InterServer’s standard shared hosting plans. Just a few dollars per month will get you unlimited storage, transfer, websites, and email accounts, and packages include an SSL certificate at no additional charge. For online businesses that have scaled and are welcoming more than 100,000 visitors per month, InterServer’s Linux Cloud or Windows Cloud VPS plans may be more your speed. These plans guarantee fast page load times and better uptime rates than the shared packages. And, for existing InterServer customers whose sites have outgrown the shared hosting environment, InterServer offers free migration services to upgrade to a VPS. If you’re running an operation dependant on high-performing business and web applications, going the dedicated server route may be your best option. InterServer can customize hardware to specifically meet your business’s needs with an entirely devoted server. At the time this post was written, most dedicated server packages included 5 IPs, 100MB or 1GB port, 10TB of transfer, four-hour provisioning, data migration, and managed support with 24/7 uptime monitoring. What billing plans does InterServer offer? By default, InterServer bills for all its plans month to month, and customers who are unhappy with the host’s service can cancel accounts at any time without penalty. Those who enroll in and pay for one year of hosting during signup, however, will enjoy a 10% discount on the regular cost of services. InterServer also offers the option to prepay for services and carry a credit on accounts, and the overages created by prepay will be deducted from the normal monthly rate as each invoice is generated. How does domain pricing work? InterServer supports more than 600 TLDs, including the popular .com, .org, and .net extensions. Pricing varies in accordance with the TLD chosen. For example, a .com extension may cost twice as much as a .xyz TLD; however, no matter the extension chosen, domain registry and renewal costs come in pretty close to the industry standard. For customers who sign up for hosting with InterServer, the company provides a significant discount on domain registration costs. Does the monthly cost include a domain name? No. The monthly charge for InterServer’s hosting packages does not include the cost of a domain name. InterServer does, however, provide discounts on domain registration for all new customers who enroll in a web hosting plan. What is domain privacy and is it included in InterServer’s domain hosting services? As a site owner, it’s important to keep your personal information safe by keeping it private in the public WHOIS database. Often, spammers and those with malicious intent use WHOIS lookup to retrieve your data, which includes information such as your name, telephone number, and email and physical address. To combat against this, many hosts or domain registrars offer WHOIS privacy protections that prevent this data from being accessed. InterServer offers the option to add WHOIS privacy to domains for a negligible charge. This service can be added during domain registration or by logging into your account and purchasing it from the domain management dashboard. What is an uptime guarantee and does InterServer offer one? An uptime guarantee is a host’s promise that web properties will be available to visitors a certain percentage of time. InterServer offers a 99.9% uptime guarantee, which comes in right at the industry average. If uptime dips below this percentage, InterServer will credit affected client accounts on a case-by-case basis up to 50% of their base monthly fee. Because of the size of its datacenters, InterServer is also able to deliver a 100% power uptime guarantee, meaning servers will run with uninterrupted electricity 100% of the time. The same credit reimbursement as the uptime guarantee will be offered to customers if this goal is not met. Will InterServer help me upgrade to a VPS or dedicated server when I’m ready? Yes. When your site is ready to grow, InterServer offers free migration from basic shared web hosting environments to its Linux Cloud and Windows Cloud VPS hosting solutions. And InterServer makes the process fairly simple. To migrate to VPS, site owners are responsible for having a full cPanel backup ready for download and checking to ensure the data matches after a restore. Prior to removing the old account, customers should confirm the new account is working. InterServer takes care of everything else. For those moving to a dedicated server, InterServer will walk customers through the entire process. Just as with moving to a VPS, there are no setup fees when moving to a dedicated server. How much does it cost to upgrade to managed hosting services? InterServer’s dedicated server and VPS hosting solutions are managed by default. Though there are no costs associated with migrating to these solutions, the monthly fees (especially for dedicated servers) are considerably higher than for those of its shared hosting packages. However, if you’re running a site on WordPress, you can get up and running with InterServer’s managed WordPress hosting for just a few dollars more than its basic shared hosting plans. This is a great option that will boost the performance and security of your WordPress site. Do I need a promo code to get discounted pricing on InterServer plans? No. There is no need to copy promo codes. Simply click on one of the linked coupons at the top of this page, and you’ll have access to our reader-exclusive discounts on InterServer’s hosting packages. Does InterServer offer a money-back guarantee? Yes. InterServer offers all new customers a 30-day money-back guarantee. If those unhappy with services cancel accounts within 30 days of signing up, a full refund will be issued. To have an initial payment for services refunded, simply send an email to [email protected] with your domain name, the last four digits of your Social Security number, and the credit card number associated with the account, and, assuming you qualify, InterServer will reimburse you. How does InterServer pricing compare with that of other hosts? At just a few dollars per month, InterServer’s shared hosting plans are very competitively priced when compared with those of the rest of the industry. The company offers a price-lock guarantee, and you’ll never be locked into a contract — ever. To get the best deal possible, activate one of the coupon codes by clicking the links above.